Robert “Bob” Gibson is a nationally recognized authority on coal mine subsidence. He is the Supervisor of the Emergency Section of the Abandoned Mines Land Reclamation Division for the Illinois Department of Natural Resources, and has been with the agency for more than 25 years. He helps local governmental entities and land owners deal with the immediate and long-term effects of mine subsidence. His ability to easily explain complex problems make him a popular expert sought out by both media and government agencies across the country. Bob pioneered digital preservation methods of historical mine maps, and established engineering models to predict the intensity and duration of mine subsidence occurrences. He has presented his findings at numerous conferences and authored dozens of articles and publications. Bob’s efforts have greatly benefitted SIUE. He incorporates geography students in his research and mapping efforts, and has helped contribute more than $3.5 million in outside funding for the University’s geography and engineering programs. These efforts have directly contributed to the establishment of SIUE’s outstanding GIS program. Bob’s community activities include working with the Edwardsville School District, Boy Scouts, and the local Special Olympics. 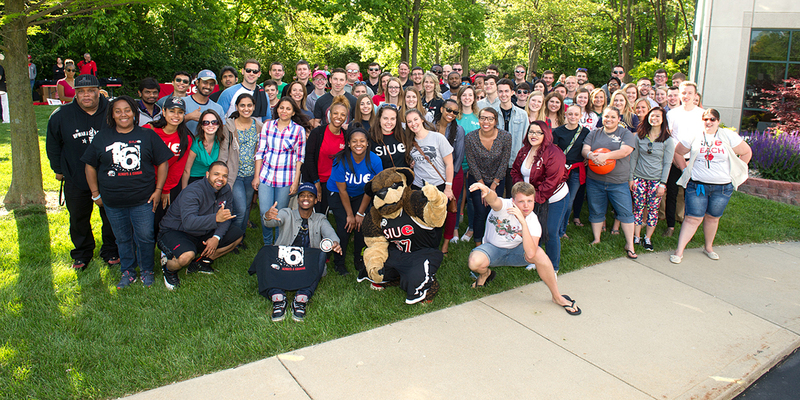 Bob is also a Lifetime member of the SIUE Alumni Association and a member of the 2011 SIUE Alumni Hall of Fame.